Officially licensed Justice League shirt. Yes, they used to smile. And why wouldn't they? Saving the Earth 75 times a week and celebrating afterwards with fruit punch and ice cream has a tendency to initiate perpetual smiling. 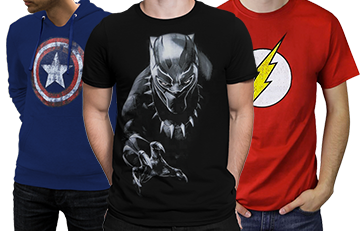 If you're longing for the days when iconic DC heroes bathed in sunlight, embraced their powers, and always made time to rescue Mr. Whiskers from the apple tree, you'll probably -- actually, definitely -- fall in love with our Justice League of America Big Group Men's T-Shirt. 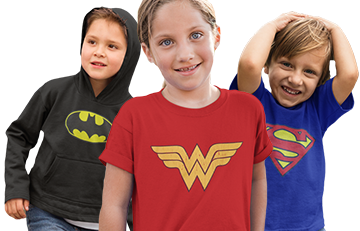 Made from 100% cotton and looking as if the aforementioned sunlight faded -- ever so slightly -- this very shirt, our Justice League t-shirt features purposely distressed -- and jovial -- Justice League icons. 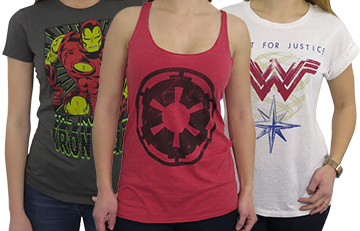 So, grab this JLA shirt for men and celebrate a time when Batman and Superman traded recipes and NOT elbow strikes.